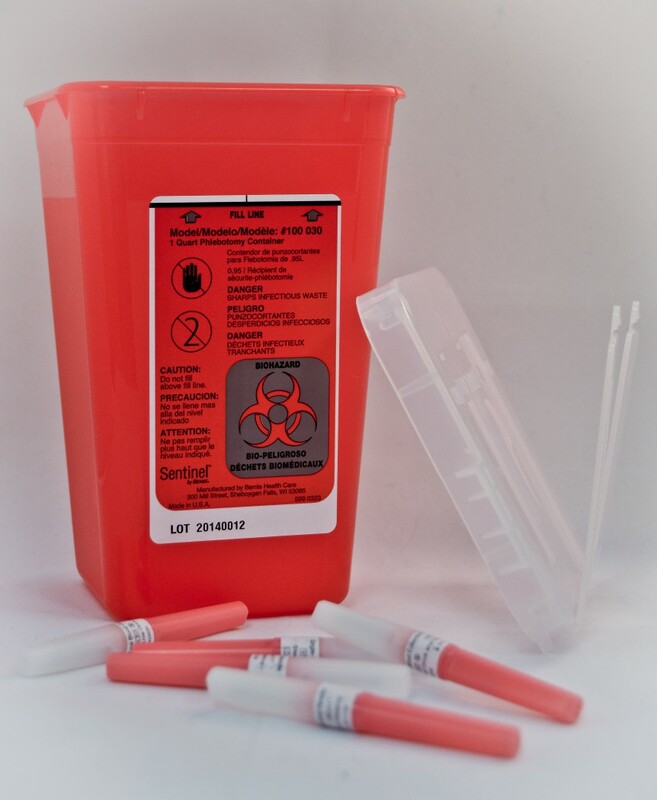 The Fisherbrand™ Sharps Container is helpful when disposing of used needles and sharp materials. 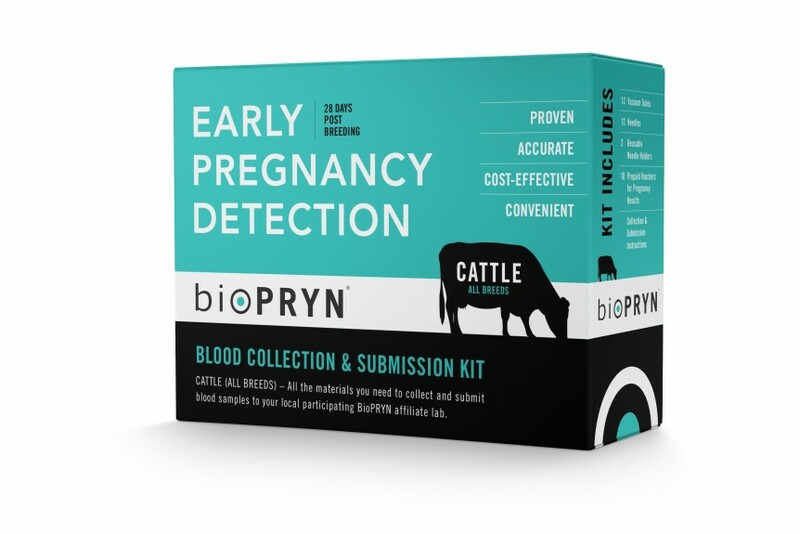 It measures 3.5″W x 3.5″L x 6″H. 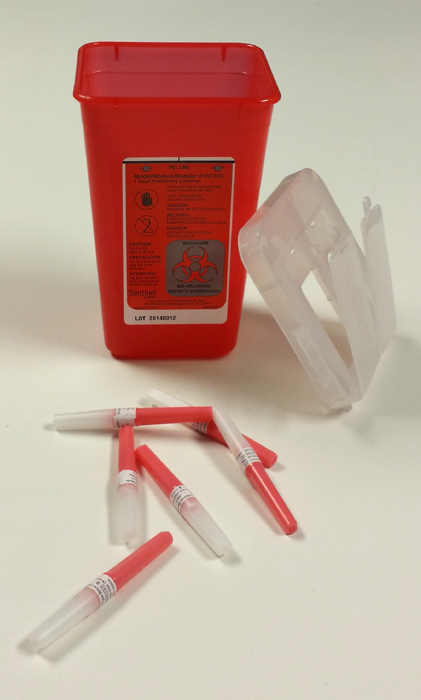 Manufactured by Fisher Healthcare, the Fisherbrand™ Sharps Container is a red, hard plastic container measuring 3.5″ wide by 3.5″ long by 6″ high, one quart. 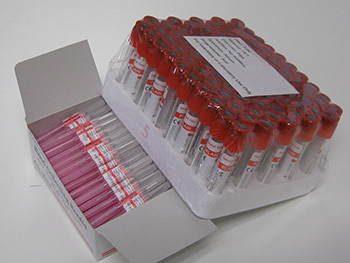 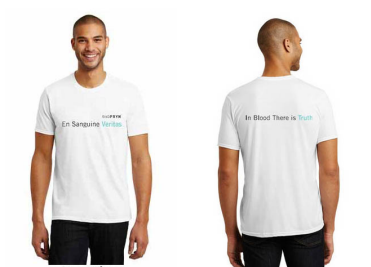 Helpful to safely dispose of used needles and other sharp materials. 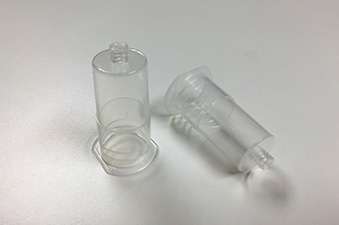 The item comes with a clear plastic cover to assist in disposing of individual needles and to close up a full container.